We all know that social networking and TV go together like ham and eggs, but a new report shows that for the first time in the UK, Twitter and Facebook are more popular than catch up tv networks. Facebook better than watching TV? The report compiled by internet metrics company Experian Hitwise, shows that social sites had over 2.4 billion visitors (12.4% of internet traffic) from the UK in the period of Jan 11, which beats tv and video websites such as Youtube, iPlayer and ITV Player. Prior to this time the most popular sites were always the TV, entertainment and sports websites with social networking following behind. But thats all changed with the average time spent social networking coming in at around 22 minutes. It seems that the biggest influence in the increase has been Facebook, who now have over 30 million UK registered users and took 56% of the social traffic. They were followed by YouTube and Twitter. It is known that viewers like to network whilst watching tv, so it could be that traditional tv is being used for watching and the pc/tablet/phone for social interaction. However it does not seem that the online tv traffic is falling, just the social traffic is growing faster. I dont understand all the attraction of social sites personally, and i’m going to Tweet my feelings right now. 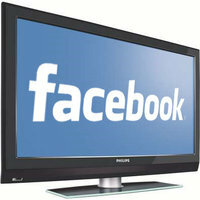 Are Television Ratings Driven By Social Networking Websites? Of course social networking is better than TV. Have you seen the [email protected]# they are putting on lately?